The ‘Boscombe Bowmen’ are a group of Early Bronze Age burials (dated to about 2,300 BC), found in a single grave at Boscombe Down, an aircraft testing site south of Amesbury. Known as bowmen due to the amount of flint arrowheads found in their grave, the burial consists of seven individuals: three children, a teenager and three men, all apparently related to each other. Finds from the grave are similar in character to that of the Amesbury Archer and included an unusually high amount of Beaker pottery, flint tools, a boar’s tusk and a finely worked bone toggle. Again it was chemical testing on the teeth that provided the clue as to where these people originated, in this case the men grew up in Wales but migrated to southern Britain in childhood. A British origin for the Bowmen is interesting, considering the continental nature of many of their grave goods (the Beaker pots decorated with plaited cord, the bone toggle). It surely cannot be a coincidence that one of the few parallels for such grave goods in Britain is the nearby burial of the Amesbury Archer. Given that the Boscombe Bowmen were roughly contemporary with the transport and erection of the Welsh bluestones at Stonehenge it is believed by many researchers that they may have accompanied the stones on their 300km (186 miles) trek to Salisbury Plain from south Wales. Considered together, the burials of the Amesbury Archer and the Boscombe Bowmen offer fascinating evidence not only for people who may have been involved in the task of designing and constructing Stonehenge, but also for close ties between Britain and continental Europe more than 4200 years ago. A further sensational burial at Stonehenge came to light in September 2010, though the grave had originally been discovered in 2005. Nicknamed ‘the Boy with the Amber necklace’, the skeleton again came from Boscombe Down, but this time belonged to the end of the Early Bronze Age (it was radiocarbon dated to around 1550 BC). The skeleton, which was discovered next to a Bronze Age barrow (burial mound), was of a 14 or 15 year-old boy had been buried wearing a necklace of around 90 amber beads. Amber necklaces are rare and exotic objects; the amber would have been brought to the Stonehenge area from the Baltic Sea, perhaps Denmark, and may have arrived as lumps of raw material before being fashioned into tiny beads locally. Close examination of the skeleton revealed another astonishing fact. When Professor Jane Evans, Head of Archaeological Science at the British Geological Survey, analysed tooth enamel samples from the teenage boy, she discovered that he was not local. Far from it. Professor Evans’ results showed that the Boy with the Amber necklace had in fact grown up in a much warmer climate than Britain, probably the Mediterranean. But what was he doing at Stonehenge? The rare necklace certainly suggests the boy was a person of significant status and importance. One theory is that the boy travelled as part of a family group on some kind of pilgrimage to Stonehenge, even though the great monument was already 1500 years old at this time. Was the boy’s family perhaps involved in the last known construction phase in the history of Stonehenge (in the 16th century BC), the Y and Z Holes? These mysterious features, two rings of concentric circular pits cut around the outside of the Sarsen Circle, are of unknown origin and function and have long puzzled archaeologists. Unfortunately, without more in depth analysis of the Amber Boy’s skeleton and more finds from contemporary burials, it is impossible to say. Nevertheless, the fascinating series of burials around Stonehenge illustrate that people were travelling huge distances to the monument over a period of perhaps a thousand years, suggesting that it possessed a Europe-wide reputation as one of the most sacred and revered places in the ancient world. Atkinson, R.J.C. 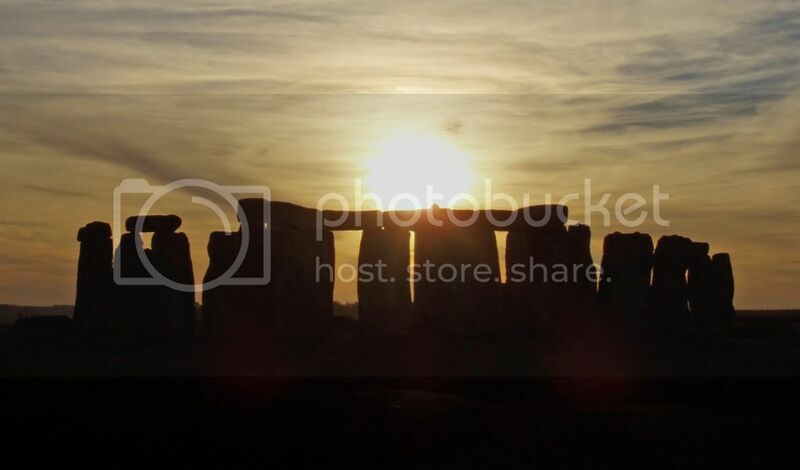 Stonehenge: Archaeology and Interpretation. London, Penguin Books. 1990. Chippendale, C. Stonehenge Complete. London, Thames and Hudson. 2004. Darvill, Timothy. Stonehenge: The Biography of a Landscape. Stroud, Gloucestershire, Tempus. 2007. Pitts, M. Hengeworld. London, Arrow. 2001. Powered by WordPress v 4.9.10. Page in 0.207 seconds.